It’s been a little over a year since Danielle and Bobby Cochrane stepped into what still seems like a nightmare. 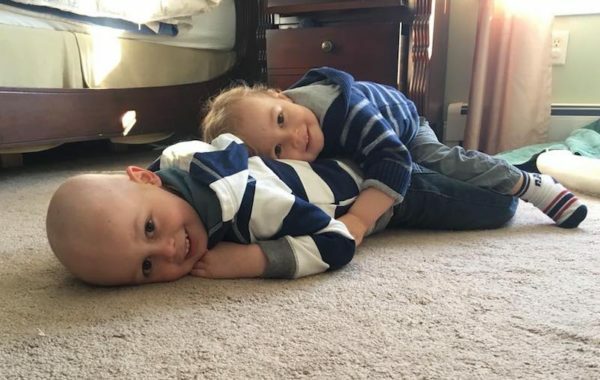 Up until then, they were a busy, happy couple with two lively little boys —Griffin, who was three and his little brother Sawyer, who had just turned one. Griffin started getting chemotherapy the next day. Life-saving drugs were delivered through a Mediport that was inserted into a vein in his chest. Danielle and Bobby quickly learned that ALL was an umbrella term and that there were many subtypes. Further testing showed that Griffin had B-Cell and Philadelphia chromosome-like ALL. Griffin spent the first phase of his treatment in the hospital. The primary goal was to kill all of the leukemia cells in his blood and bone marrow and get him into remission. Even with the hopeful news, Griffin will continue treatment for the next two years, a total of three and one-half years. He’s past the induction and intense chemotherapy phases and is now in the maintenance phase. 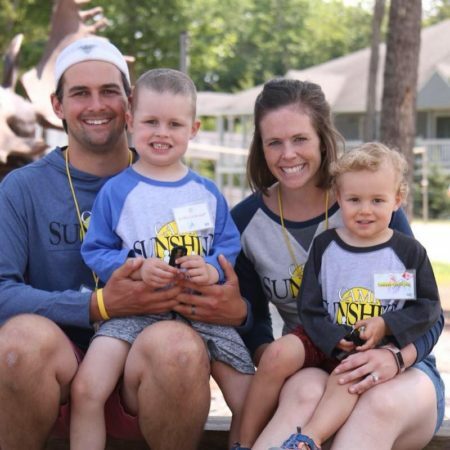 The family may have established a routine of sorts, but ever since Griffin’s diagnosis, their lives have been flipped upside down. Bobby and Danielle are both physical therapists. Bobby practices at OA Centers for Orthopaedics, but often has to adjust his schedule. Danielle had to stop working, so she could take Griffin to his treatments. 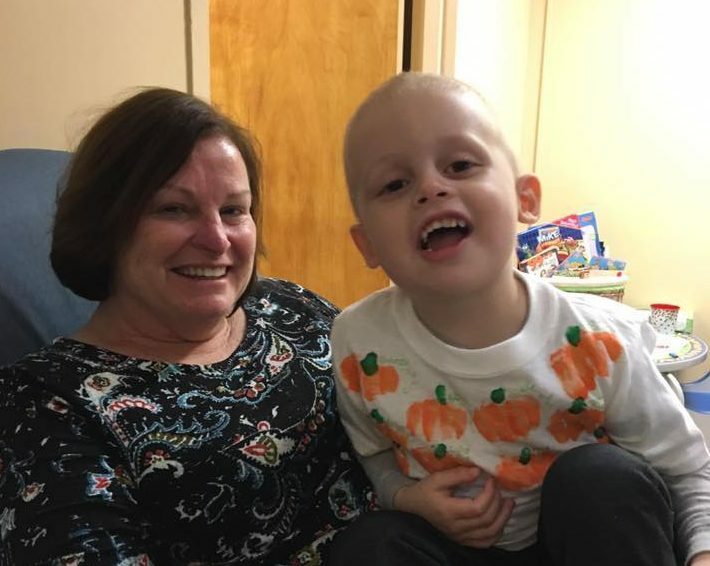 Danielle’s mother, Rhonda Lamb (AKA Nana), is convinced that Griffin did so well after his first round of treatments because, as you might expect a couple of physical therapists would do, his parents kept him active. Shortly after, I was reading an article that had just been published by MD Anderson. It said they’ve shown that kids who stay active during their treatment have better outcomes. I showed that to Danielle and Bobby and said, this is probably why he did so well, because of you. And Griffin didn’t even realize he was staying active. We made it fun. According to the American Cancer Society, childhood cancers make up less than one percent of all cancers, but rates have risen slightly over the past decade. Currently, about 15,000 people under 20 are diagnosed every year. 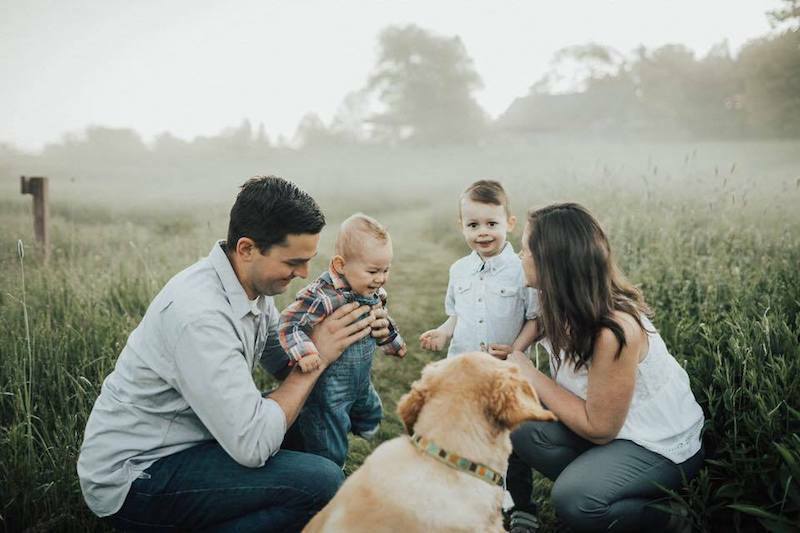 A recent CDC report showed that Maine, where the Cochranes live, had one of the highest incidence rates of pediatric cancer between 2003 and 2014. Over the past 50 years, the Food and Drug Administration has approved about 190 cancer drugs for adults, but only three for children. Only four percent of federal government cancer research funding goes to study childhood cancers. That’s something the family just can’t understand. The current drugs used to treat ALL were discovered in the 1960s. Before then, the disease was essentially fatal. No new drugs have been introduced since then but, based on research, there have been changes in dosing and how the drugs are used. Those changes have resulted in the 85 percent overall survival rate. Griffin is part of a research study for high-risk B Cell ALL through the Children’s Oncology Group. The organization offers nearly 100 clinical trials at any given time on childhood cancers and is supported by the National Institutes of Health (NIH). His local treatment team is at Maine Children’s Cancer Program. Danielle and Bobby and their families have become experts on leukemia the hardest way possible. In addition to local support groups, they have found the following online support groups especially helpful.